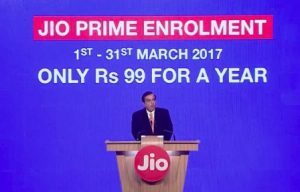 The offers are applicable for Jio Prime members. Voice is truly free any network for all local and STD call or the data used to make 4G voice calls. Applicable taxes will be extra for all Postpaid tariffs plans. All customers will have the option to opt for Jio Prime membership upon subscription to any available Postpaid plan and payment of rupees 99. For Postpaid subscribers it denotes one bill cycle. The subscriber must have an active Plan to avail the additional benefits offered under Jio Prime. Again amazing news, JIO wants to give free Wi-Fi for college student. Copyright © 2019 MyJioPhone – Everything about JioPhone.